Meleghy International Grows Through You! We are looking for partners for a successful future. Whether as an employee or as a supplier. We are interested in your knowledge. Let’s get stronger together. We support, promote and guide you! With a constantly growing customer base, Meleghy International is developing into a wide-ranging and comprehensive full-service group in the automotive industry. As a young company with over a hundred years of history, we combine tradition with innovation. As experienced producers of stampings, structural components and complete body assemblies, we are an essential partner to the automotive and metal working industry. 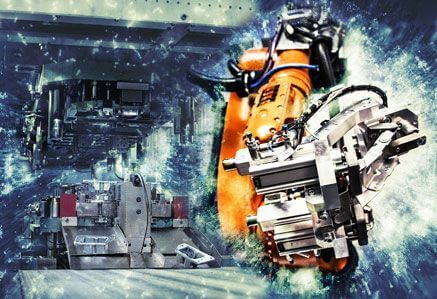 We are experts with complex knowledge in the area of project planning, product and process development, metal forming, joining technology, plastics technology and surface (e-coating) technology. Pictures speak more than 1000 words, inform yourself on Meleghy International in the following film. The division includes the engineering services of the company group. 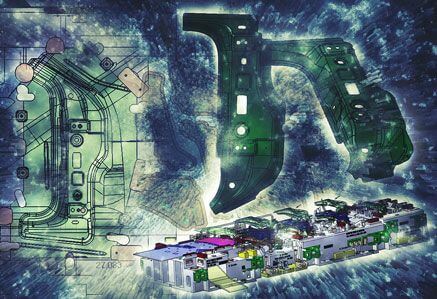 In collaboration with our production sites, the development, planning and design of production processes for the production of press parts and automotive-bodywork components takes place here. Meleghy Automotive is a partner and supplier for the international automotive industry. The focus lays on the production of structural components and entire bodywork assemblies. We offer comprehensive knowledge in the area of metal sheet forming, joining- and plastics technology as also the surface technology. This division includes the research and development in the area of process- and product development, which is being realized in the company group. 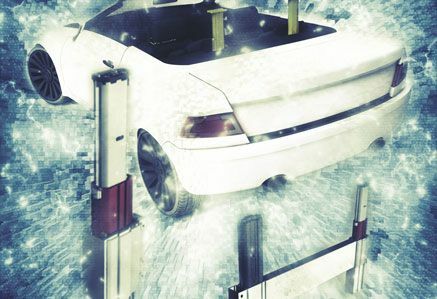 Meleghy Innovations deals with the development of solutions and innovations for the automotive industry. Here grows the innovative power of our company group.